Have you ever wished you could learn and practice Bushcraft and Wilderness Survival Skills in a relaxed female group? Designed by women and run by women instructors you can learn Bushcraft in the company of other women. Do you desire to learn bushcraft skills and be more confident in the great outdoors, have a deeper understanding of nature and be able to read the signs wildlife displays? This course set in beautiful Kent woodland is ideal for any ladies new to bushcraft or someone wanting to brush up on their camp craft skills. We create a relaxed friendly camp where everyone shares in the running of the camp and creates a woodland community for a long weekend. It’s important to us that not only is your stay about learning valuable earth living skills but its fun, safe and profoundly satisfying. During the weekend you will also experience many Nature Awareness activities that enhance our senses and open us to see what the natural world has to offer and assist us to feel more at home in the wilderness. Nature is so often our greatest teacher. By the end of your Womens Discovery course you will have experienced doing all the following essential wilderness skills and hopefully go away with a new confidence of living close to nature and feel delighted with your achievements and a bunch of new friends. The Womens Discovery course certainly opened my mind to some good stuff and started healing the disconnection I hadn't noticed I was feeling from nature. I’d like to do another some time, and will maybe come along to one of the family days with my nephew too. Bec – Kent U.K.
Current Reviews: 6 Place A Tick Against An Item To Pay The Deposit. 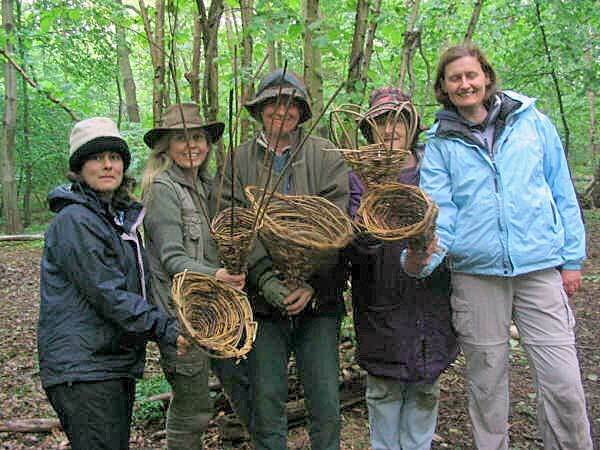 First Natural Pathways Women`s Bushcraft course – May 2007 ..